The beautiful red leather chairs, along with the tables, cabinets and other furniture in the restaurant, are original to the building and were used throughout the building and are now heritage-listed. At Hoi Polloi, we believe food is what bonds us. It forges common ground and brings people together, which is why we believe in celebrating local. Our menu provides freshly prepared food catering to a variety of tastes and dietary requirements. The indoor seated capacity is 100 guests and can also be hired as a private venue outside of opening hours. High Tea at Old Parliament House is held every Saturday and Sunday. 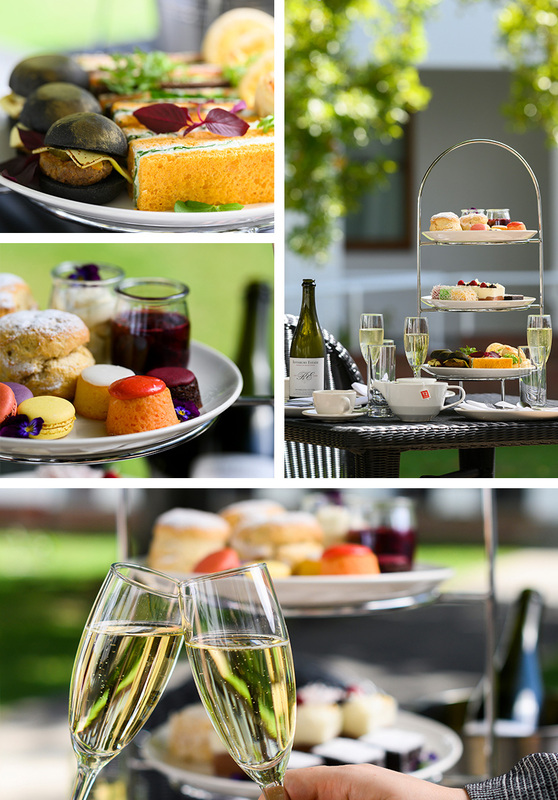 Listen to relaxed tunes and enjoy an assortment of sweets, sandwiches and sparkling wine while overlooking the stunning House of Representatives Courtyard, High Tea at Hoi Polloi is like no other. We require a deposit of 20% to confirm your booking. To enquire or make a booking, call 02 6261 7210 during business hours, or email Restaurant Associates. You can also book online. A confirmation will be sent to you immediately (subject to availability). Please let us know of any known dietary requirements when you make your reservation.